LEGL252-Public Law & Admin. - Welcome to Professor Newman Online! 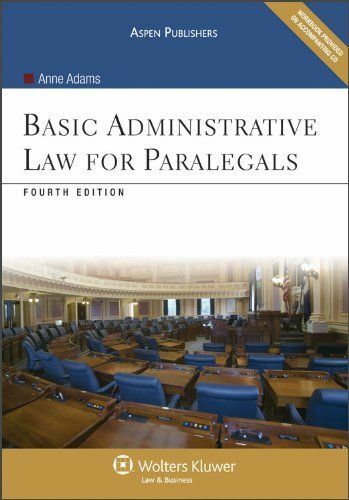 Basic Administrative Law for Paralegals (Fourth Edition) by Anne Adams. Our book should be available soon at the SPSCC Bookstore here. This is a hybrid course with major portions and materials being facilitated through the Canvas course module. Please log in to Canvas to see all the information available.